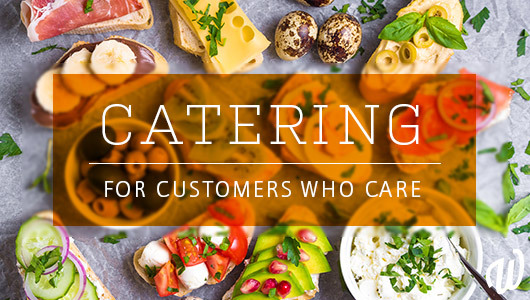 Home Social Enterprises Catering Say hello to Workpower Catering! We’ve come a long way since we first opened our cafe in 2012. To reflect our journey we’re now changing our name to Workpower Catering! Read on for more details. In 2012 we decided to open a cafe called 1905 Coffee on Newcastle in Northbridge, Perth. This gave our employees an opportunity to gain relevant skills in the hospitality industry. Not long after, our team started offering corporate catering services. It didn’t take long for this part of our business to grow, and from here we looked for ways to expand our catering further. We found the solution with the Western Australian Police, who in mid 2017 asked us to manage the cafeteria at their East Perth headquarters. Since then we’ve run our catering services from the cafeteria, now named Blue Bean Cafe. To reflect our journey, we’ll now be known as Workpower Catering! But despite the changes, we’re still the same – same people, quality service, and incredible food you love. Since the move our team members have expanded their hospitality skills in a larger workspace with better facilities. Managing the cafe also provides opportunities to meet new customers and develop front-of-house skills. In addition to this, the move boosted business – 2018 was our biggest year yet! We’ve also made the sustainable switch to biodegradable cups, containers, and cutlery in our cafe. Want to follow our culinary journey? You can now find us on Instagram and Facebook. To place an order with us, simply fill out our order form online. You can also contact us at (08) 9227 8075 or through email.